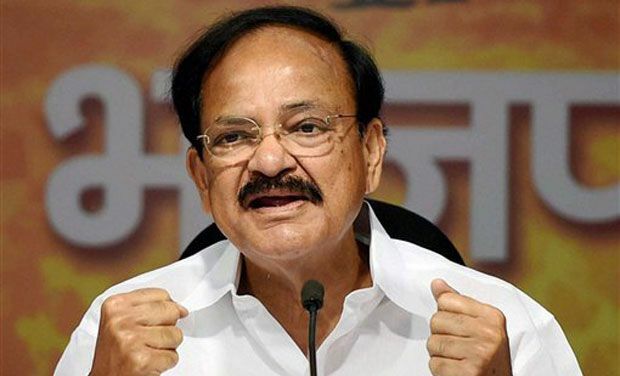 New Delhi: Vice-President M Venkaiah Naidu on Sunday expressed concern over serious challenges to the civilised world like terrorism, environmental degradation, drug addiction, hatred, and stressed the importance of education and culture in fighting these menaces. Education was a key instrument in developing social infrastructure – for it breaks the vicious cycle of poverty and underdevelopment, Mr Naidu said . He was addressing the East West Cultural Festival in commemoration of the 121st birth anniversary of Srila Bhaktivedanta Swami Prabhupada, Founder and Acharya of ISKCON, here. ‘We meet at a very peculiar time where on one hand, the world is making rapid advancement in various fields; yet on the other hand many challenges in the form of terrorism, environmental degradation, drug addiction, hatred, hunger & poverty continue to stare at us,’ he said. He underlined that culture, on the other hand, was the life-sustaining force of social infrastructure as it enlivens ethical and moral values that seem to be eroding in the modern lives. The Vice-President said that for millenniums, India has served as the seat of knowledge, combined with its deep and rich culture, it has taught countless people the righteous path of life. He further said that India has also been the land of Maha-purushas( great men) who dedicated their lives to serve humanity.